FourFriends'smear sausages are a complete food for all cats. These can be combined with, for example, FourFriends complete food. Of course, they are also sugar free and we do not add any chemical flavoring or preservatives. 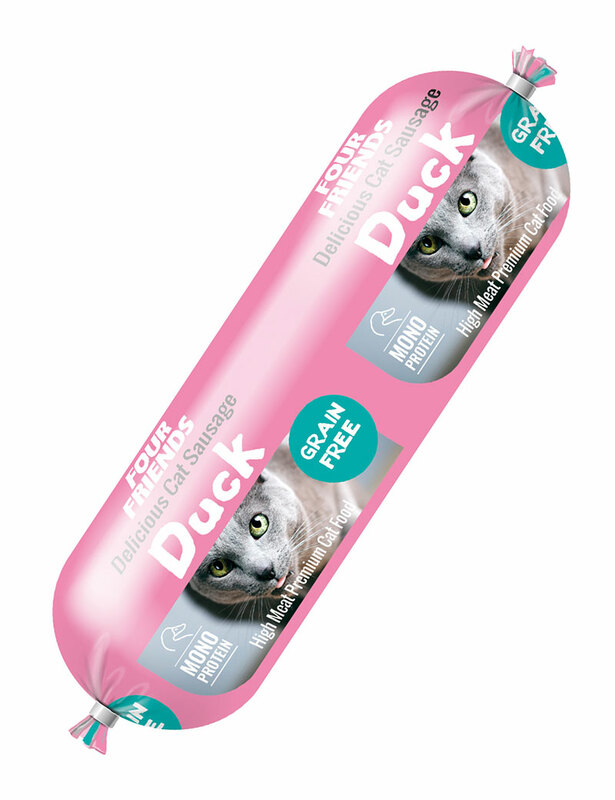 A 200g sausage is a daily ration for a medium-sized cat of about 4kg so it is easy to feed your cat the correct amount.